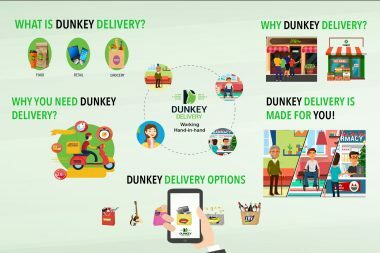 Dunkey Delivery is a subscription based delivery company that delivers products ranging from food, grocery, pharmacy, laundry, alcohol, Dunkey Ride, and retail. Future services will be Dunkey Ship and Dunkey Fly. Dunkey Delivery is an all-in-one solution to all of your delivery needs. You don’t have use multiple companies for one area of product(s) or spend additional money on different services. Our unique approach takes care of all of your delivery needs. Dunkey Delivery will deliver anywhere in the US and Internationally while additional deals that is not typically offered through other competitors and in store deals through our online platform. We’ll bring all of your delivery needs to your doorsteps without leaving your home, office, or business. Plus, we even deliver on all major US Holidays. Dunkey Delivery is the only service that cater to every delivery need. We are fast, efficient, and accurate while providing excellent customer service. 100% satisfaction is our goal. We’ll provide additional services such as Double Check which verify your order(s) is correct. Dunkey Delivery saves you time and money. It’s convenient to you and you never have to leave your home, office, or business again! Dunkey Delivery takes out the “hectic” out of your busy schedule while providing stress free delivery options and much more! We’ll offering free shipping, fast service, guaranteed satisfaction, and 1 hour or less delivery*.